We welcome you to our shop. 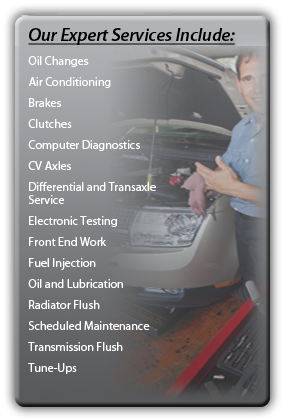 We are dedicated professionals specializing in top quality auto repair since 2001. At K & R Auto Service, Customer Satisfaction is not an option here - We guarantee it! Locally owned and operated, K & R Auto Service provides complete auto repair services including brake service, shock replacement, electrical diagnostic & repair, and a free 25 point safety inspection with every oil change. We have been ASE-certified for over 13 years. Our mission is to provide quality auto repair no matter how big or small the job at a fair honest price, in timely manner. Our goal is to exceed our customers expectations. "K & R Auto Service rocks! They provide excellent service of minivans, family cars and high performance cars. They are always happy to show curious folks their shop...""